Gilmer County is known as the “Apple Capital of Georgia” and holds an annual Georgia Apple Festival. August through November is Apple Season in Gilmer County! Enjoy our many apple houses, where you can pick your own apples. 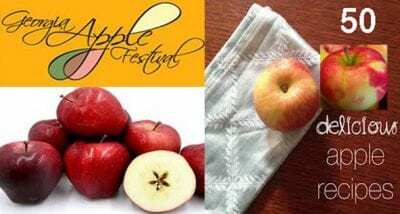 In October visit the Georgia Apple Festival and Apple Arts on the Square. FYNTV.com will be broadcasting LIVE from the Georgia Apple Festival! Please enjoy a variety of ways to “Eat Your Apple” Recipe links can be found underneath the slideshow. Enjoy! Click on the links for the recipe!